HOUSTON: “Mom” is the word! 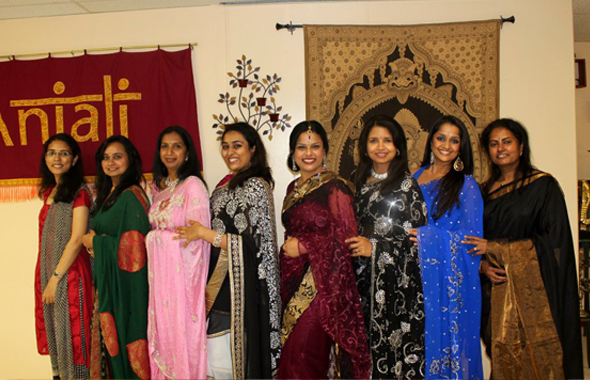 AIM for Seva held an exciting get together to honor Houston Mothers and to celebrate motherhood. “Houston has a very vibrant Indian culture”, says Suma Mudan of AIM for Seva, “and the credit goes to the tenacity of mothers taking the time and trouble to inculcate Indian tradition and values to their children”. Many of the Houston Moms are professionals and perform the delicate tasks of balancing household chores, demands of profession, educating children, taking care of the elder relatives and yet, manage to have lots of fun. “AIM for Seva has a close relationship with motherhood and education”, says Suma Mudan. “Our entire movement was started by a disheartened tribal mother, Papammal, who could not send her children to school because of poverty, distance, safety and security. 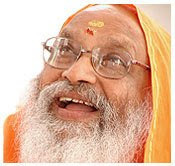 She challenged Swami Dayananda Saraswati to bring “Homes to Schools”. Thus was born the unique concept of “Chatralayas” or student homes, where we provide food, shelter, education, clothing, healthcare and teach ethics in a safe, secure and nurturing environment”. The Event was held at Anjali Performance Center, Sugar Land on May 11. The festivities started at 6 PM, with a social hour for guests to meet and greet, and concluded with dinner. The primary focus of the event was to felicitate several senior mothers for contributions to families and communities. The mothers who were honored include Shakuntala Malhotra, Anasuya Devi, Seetha Devi, Lalita Mangipudi, Pankajam Rangaswamy, and Thulasi Radhakrishnan. We also inaugurated the Women’s’ Co-op during the event and had pickles and powders for sale. There were fun events planned, entertainment by Andhra Mirchi Radio Team, bingo games with great prizes, and other as well. Around 120 folks joined us and made this a memorable event for Houston Moms. 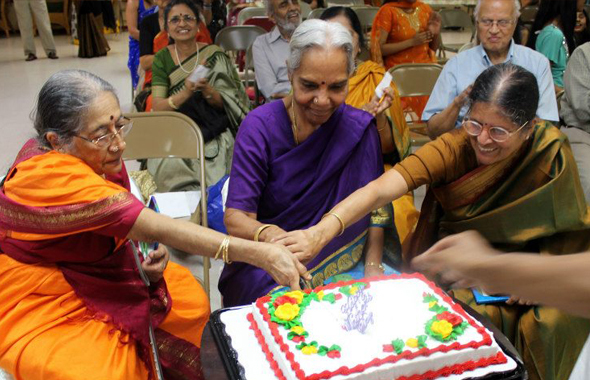 AIM for Seva celebrated Mothers day to honor young and “not-so-young” mothers – from all walks of life. The evening was marked with fun and laughter. The highlight of the evening was a fashion walk by mother/daughter and mother/son teams. The young mothers were dressed fashionably and the young girls were very cute showing off their talents. Another unique theme of the evening was to encourage the men in the audience to dot the foreheads of celebrity actresses while blind folded, and also for them to guess the prices of every day items. Several men walked away with gifts they can use right away. A couple of them even won glitzy sarees for the women in their lives. The most important part of the evening was honoring our senior mothers – the oldest was 94 years and the youngest was 68 years young. AIM honored their contributions to their families and their communities. It was heartening to see several generations represented on the same venue. AIM for Seva is organizing their annual fund raising event PRABHAVATI on October 4 and will be publishing more details soon. Donate to help build a Student Home in every district in India! 1. AIM for Seva is a 501(c)(3) organization with a Special Consultative Status with the Economic and Social Council of the United Nations. 1. Over 42 million children aged between 4 to 14 are NOT in school. 2. Dropout rates are as high 84% among children in rural India. What has AIM for Seva achieved so far? 1. 100 Student Homes, serving over 3,000 children every year. 2. Has touched the lives of over 20,000 children across 5,000 villages. 3. School drop rates at Student Homes are less than 1% while the dropout rates in rural India is an astounding 84%. 4. Administrative expenses are less than 10%. Donate now to help us go from 100 to 600 AIM for Seva Student Homes.